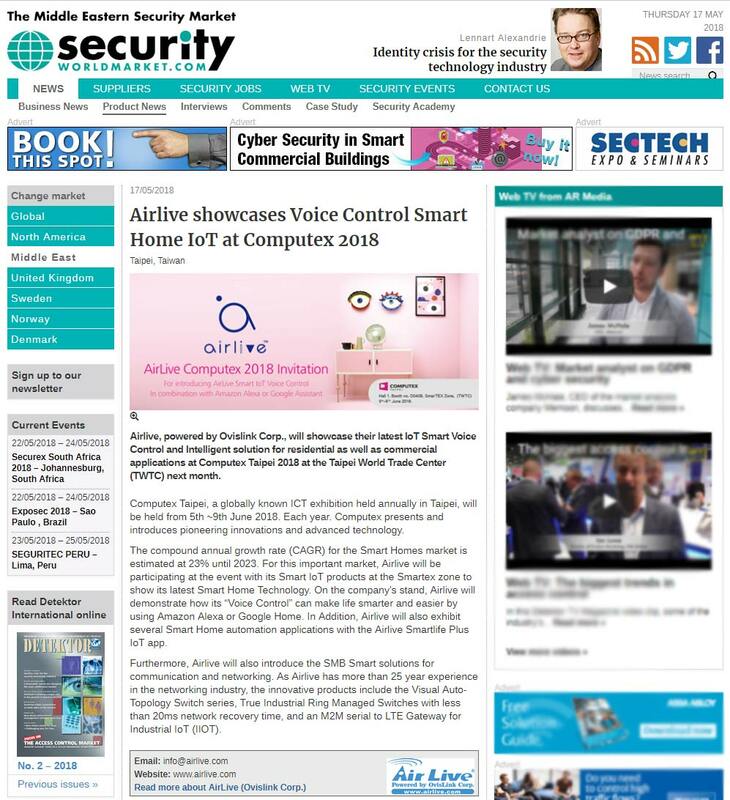 AirLive, powered by OvisLink Corp., will showcase their latest IoT Smart Voice Control and Intelligent solution for residential as well as commercial applications at Computex Taipei 2018 at the Taipei World Trade Center (TWTC) next month. Computex Taipei, a globally known ICT exhibition held annually in Taipei, will be heid from 5th ~ 9th June 2018 Each year. Computex presents and introduces pioneering innovations and advanced technology.